Two years ago, P&O Cruises launched their most ambitious ship to date in front of a VIP audience in Southampton. Not only this, but they also welcomed Her Majesty, the Queen, to conduct the honour of naming the new vessel. At the press of a button, a bottle of champagne swung towards the ship and successfully smashed against the hull. The line’s new flagship was launched without a hitch and she has since become immensely popular among British passengers. Fast-forward to the present day and P&O Cruises’ Britannia continues to operate regular sailings out of the UK to the Mediterranean, Norwegian fjords and Caribbean. On each sailing, more than 4,000 passengers enjoy the full range of amenities and interior areas available on board the ship. This week, we offer five reasons why Britannia really does offer the best of British. 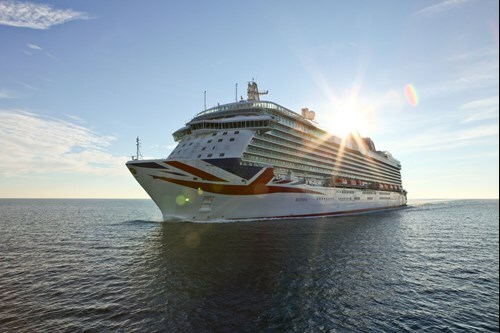 Weighing in at 143,740 gross tonnes and measuring a total length of 330 metres, Britannia really is a sight to behold. Emblazoned with the British flag across her hull, she carries a tremendous amount of pride and maintains tradition wherever she sails. She sits among the top 20 largest cruise ships in the world and – to put this into perspective – if you were to point the ship upright, she would exceed the height of London’s Shard skyscraper by more than 20 metres. Undoubtedly one of the most distinctive additions to Britannia is the food heroes – a quintet of popular chefs and culinary geniuses who have left their mark on board the ship. This has resulted in the best of British cuisine being available throughout the ship across a number of superb venues. You can sample the delights of master patissier, Eric Lanlard, in the Epicurean, with his take on afternoon tea; embark on a fragrant journey of spice in Atul Kochhar’s Sindhu; learn more about your favourite tipple with wine expect, Olly Smith; and enjoy menus inspired by Marco Pierre White on gala evenings. You will certainly be tasting many fantastic dishes during your time on board Britannia and, with the on board Cookery Club, you can learn how to make them at home. 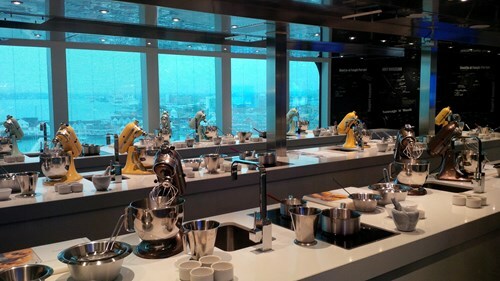 With tuition from some of the best professional chefs in the industry, you can learn how to make British classics, chocolate treats, baked goods and much more. Comedy, musical productions, live music and shows that would not look out of place in the West End. 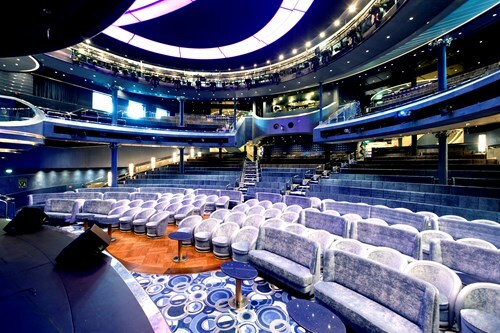 All this and much more can be enjoyed during your time on board Britannia, with a multitude of different theatres and lounges where you can enjoy amazing entertainment. The Headliners Theatre offers a new era of entertainment, with an impressive LED backdrop; while the Live Lounge offers hilarious comedy and excellent tribute bands. 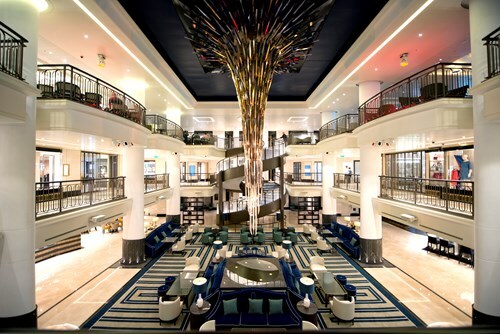 A range of bars, lounges and cafes situated around the ship will offer a slice of home on board the ship. Whether you are looking for a fresh coffee to start the day or a relaxing drink to bring a busy day of exploration to a close, you won’t be disappointed with the range of venues available – each of which emits a unique sense of British culture. Be sure not to miss the dazzling light centrepiece in the Atrium. Since her launch in 2015, P&O Cruises Britannia has held the flagship role for the fleet and passengers have been impressed by everything she has to offer. In 2020, however, P&O Cruises will launch a new flagship for the fleet, with a currently unnamed vessel set to accommodate 5,200 passengers and offer a host of new amenities. Sailing alongside Britannia, she will offer sailings out of the UK to some of the finest destinations in the world. For the latest news and offers on P&O Cruises sailings, or to book your next holiday, contact Cruises from the UK via the freephone number above or complete the online enquiry form.